On This Day…17 September | What I think About When I Think About Writing. With a new logo (thank you Google Images) and fresh spring in my step, it’s away I go in this on-going series of events that occurred down through the years on this day. As usual, where it is appropriate, aardvarkian comments will add to the experience. 1462 – The Battle of Świecino (also known as the Battle of Żarnowiec) is fought during Thirteen Years’ War. At half time – six and a half years in – they all went into their dressing rooms for a nice cup of tea. 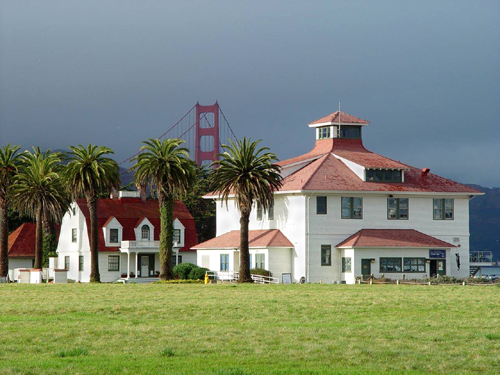 1776 – The Presidio of San Francisco is founded in New Spain. I saw the Sean Connery movie. It was alright. 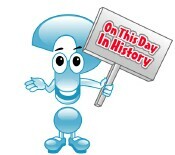 1920 – The National Football League is organized in Canton, Ohio, United States. Unfortunately, there’s no place for Manchester United. Damon Hill, English race car driver and 1996 F1 world champion, is 50. Baz Luhrmann, Australian film director of Romeo + Juliet and Australia, is 48. Bryan Singer, American director of The Usual Suspects, X Men I & 2, is the same age as myself, 45. The tragic Paula Yates, ex-wife of Bob Geldof and lover of INXS singer Michael Hutchence, sadly took her own life today in 2000. What a sad loss she was to her family and fans. This entry was posted in On This Day and tagged Australia, Baz Luhrmann, Bryan Singer, Damon Hill, Great Depression, Michael Hutchence, National Football League, Paula Yates, Philadelphia, United States, United States Constitution, Usual Suspects. Bookmark the permalink. Have a good weekend and work hard. I got carried away when I googled the 13 years war. It is a total random wordfest, though I haven’t the faintest idea what any of it means. Ha! Love the new logo!